Are you ready for "The Thrill Test"? 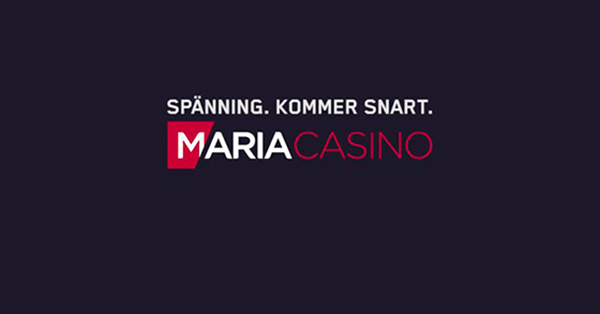 Maria Casino är kända för att erbjuda sina spelare en rad utav olika online casino spel (för att inte tala om free spins och bonusar), så som Blackjack, roulette och en hel drös med spelautomater t.ex. Det tycks dock som om Maria Casino är redo att ta sin verksamhet till nästa nivå med deras "The Thrill Test" satsning. I kort drag så är det en gratis chans för de som söker efter att få sig ett par välbehövliga adrenalinkickar (lite spänning i vardagen helt enkelt). För att vara exakt, så är det en chans för dig att vinna en massa pengar. Förutsatt att du klarar dig igenom all de utmaningarna som väntar dig i "The Thrill Test" vill säga. Du måste dock ta dig igenom en rad utav frågor först. Därefter kommer du att flygas ut till ett hemligt testanläggningen, där du (och tre stycken personer till) kommer att gå igenom diverse olika spännande experiment på plats (the thrillometer). Skulle du sedan (mot all odds) klara dig igenom alla test, då kan du åka hem med över 1,000 pund på fickan. Maria Casino are well-known for offering their players a wide variety of different kinds of casino games (not to mention free spins and bonuses), like Blackjack, roulette and a handful of Casino slot's machines. However, it seems like Maria Casino is ready to take their business to the next level with their "Thrill Test" contest. So what is "The Thrill Test" all about then? Well, it´s a free chance for those who seek to find some much-needed thrill and adrenaline kicks (you know, to get some excitement in your every day life?). To be exact though, it´s a chance for you to win a lot of money. Well, at least if you have what it takes to take on the challenges that await you in "The Thrill test". However, before you get a chance to do so you have to answer a bunch of questions first. And "if" you make it through all the questions, and "if" you have been chosen to take part of "The Thrill Test" contest. Then you (and three other people) will be flown out to a secret test facility where you will go through several different exciting experiments on site (the thrillometer). And "if" you would manage (against all odds) to make it through all the thrill challenges, then you just earned yourself £1,000 in hard cash. "Take the Thrill Test now to find out if you need more excitement in your life. By taking the test, you’ll get the opportunity to win one of four exclusive places in the Thrillometer (worth GBP 400) and become Europe’s most thrilled person! – If you are one of the lucky winners – boy, do we have a crazy prize for you! You’ll be flown to a secret test facility, where you’ll endure the most thrilling experiments – and if you are the most thrilling person in Europe, you’ll win the grand prize worth GBP 1000! Sign up now!"